1. Give considerable cost savings over conventional chemical only sanitation. 2. Produce crystal clear allergy free water of drinking standard. 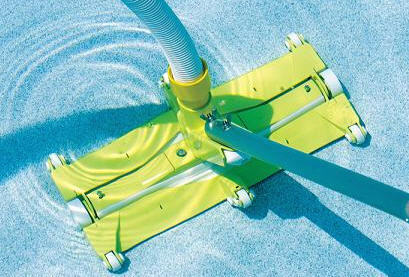 3.Eliminate Black, Yellow and Green algae, plus bacteria. 4. Reduce by up to 75% the need for chemical sanitizing. 5.Eliminate the need for ? occulents, water clari? ers and algaecides. 6. Helps to remove both magnetic and non-magnetic solids from suspension in water. 7.Indicate when electrodes need replacing and when conductivity of water is wrong. 8. 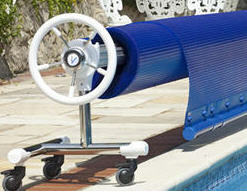 Allows you to maintain pool water to healthier standards. The system requires a low concentration of dissolved salt (sodium chloride) in the water. The salt concentration level is normally maintained below the taste threshold. The Nano automatically converts the salt into chlorine, which your pool/spa requires to remain sanitized and algae free. The chlorine reverts back to salt after treating the water. Since the salt is constantly recycled, there is minimal loss during a swimming season. However, salt can be lost due to filter backwashing, rain water overflow, leaks, or bather splashing/ carry out... but not through evaporation. 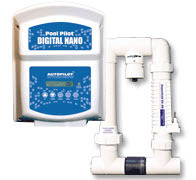 The Digital Nano is designed to handle the purification needs of residential swimming pools and spas. The amount of chlorine required for proper sanitization will vary based on the pool size and various factors such as water temperature, bather load, exposure to direct sunlight, and special water features. The water circulation pump must be operating for your Nano to produce chlorine, so run time is one of several key components to maintaining the proper sanitizer levels. Most installations require a minimum of eight hours-per-day pump run time to properly filter and sanitize the water.